Ideal For Orthodox / Green Tea. 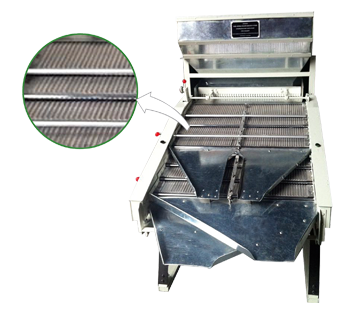 Feed Hopper - Superior Built with Discharge System. Aluminium Casted Line Tray for Smooth Movement of Teas. Easily Adjustable Sliding Plates For Proper Sizing of Tea. No Rubbing of Teas, hence no Bloom loss. Sturdy Structure Iron Base Frame.